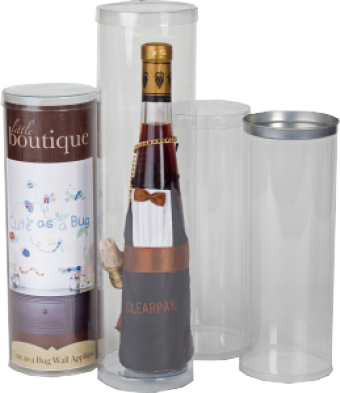 Clear tubes provide you with a unique packaging option for your tall and narrow products, bottles and circular stackables. A great way to showcase your product. 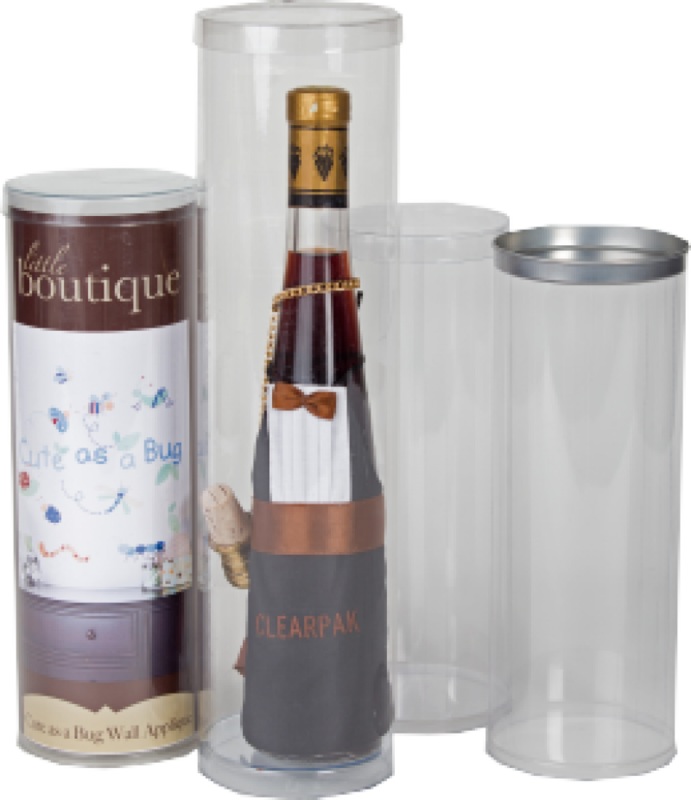 ClearPak can produce clear or printed tubes and cylinders for a wide range of products as part of our complete line of transparent, plastic packaging options. Tubes and cylinders provide you with a unique and differentiated product packaging option. We also have a variety of closures to suit your requirements. Clear or opaque plastic can be used in a printed finish format to provide a unique product container. All our tube & cylinder designs are custom manufactured to suit your specific needs. Tubes can be made to order to fill your specific needs. Tubes can vary in diameter from 1.5” to an 8”. Our tubes feature a glued seam allow for the use of thinner materials with superior clarity verses the thick walls of an extruded tube. Your custom-made tube can be produced with a transparent or opaque plastic but can also be printed with the option of foil stamping or embossing to help your tube steal the limelight in a product line up. Due to the custom nature of this product line, a minimum order of 5,000 pieces is required. Lids or closures can be made of transparent plastic or metallic silver or gold closures.